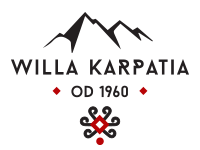 Our guests have at their disposal three spacious and highly attractive houses – Willa Karpatia, Willa Grand Karpatia and Giewont Fairy House. Each of them is made of wood, which adds unique charm, and in each of them there are luxurious rooms and apartments for several people. The choice includes traditional interiors, reminiscent of highland tradition, as well as modern ones. Depending on requirements and expectations of our guests, we offer rooms with bathroom, kitchenette, wardrobes, armchairs, shower and a number of necessary amenities. As a standard, the rooms also have an LCD TV. We made sure, that most of our rooms have amazingly charming view out the window. Guests choosing these rooms will be able to enjoy beautiful scenery of the Tatra’s peaks. We know how difficult it is to choose a guesthouse or a villa just by reading descriptions or testimonials. That is why we have prepared very rich picture gallery, presenting not only the general appearance of our huts or their interiors, but also of every room available to our guests. As a result you can choose and book the most suitable room or apartment.